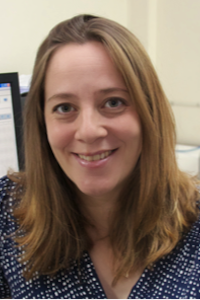 Clare Ling has worked at SMRU since October 2012. She runs the Microbiology department and supports molecular and other activities of the unit. Following her Honours degree in Medical Microbiology at Edinburgh University, Clare completed a three year Clinical Scientist training program based at Raigmore Hospital, Inverness. During this time she obtained an MSc in Molecular Medical Microbiology at Nottingham University and carried out research on Borrelia burgdorferi, the aetiological agent of Lyme disease. Clare then moved to the Royal Free Hospital where she ran the molecular diagnostic service and undertook a PhD investigating a recently discovered Mycoplasma sp., Mycoplasma amphoriforme with the University College London (UCL). On completion of her PhD Clare worked for Public Health England before joining SMRU. At SMRU Clare enjoys the synergy between humanitarian and research activities and finds her role here rewarding. Her current research interests include causes of fever in S.E. Asia, respiratory infections (including Mycobacterium tuberculosis and Mycoplasma amphoriforme) and molecular diagnostics.